During WWII, many of the country’s manufacturing plants were converting from producing commercial items to producing war materiel. With the moratorium on new cars, automobile plants switched to making airplane or ship parts. 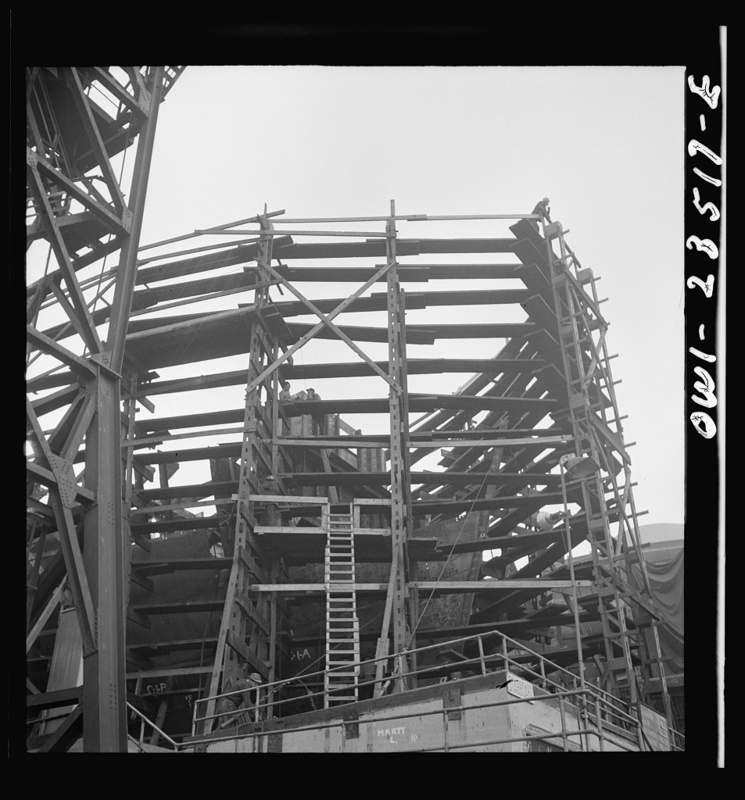 In other locations around the U.S. “emergency” facilities were erected. 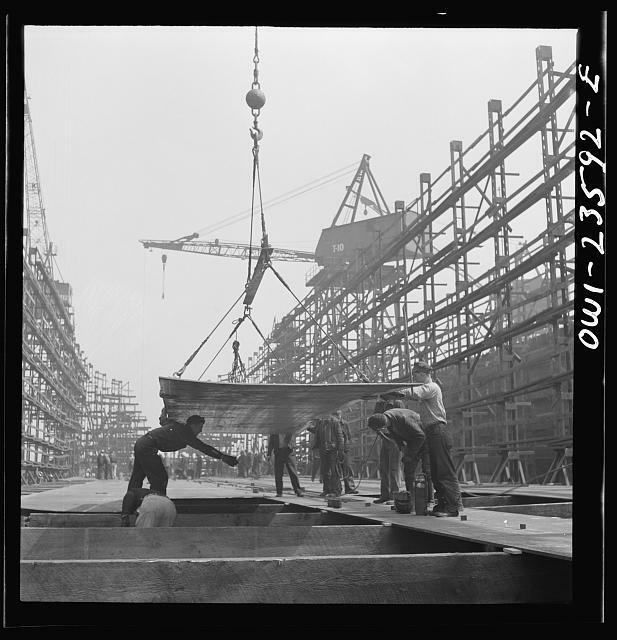 The Bethlehem-Fairfield Shipyard was one of nine emergency shipyards constructed to ensure the country could meet production goals. At its peak, it employed 27,000 people. Located in the Fairfield section of Baltimore, the 1,300 acre yard operated from 1940 to 1945 and originally consisted of thirteen ways. 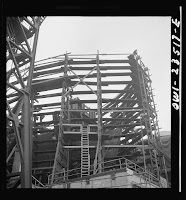 (A “way” is the structure that slops toward the water used to launch the vessel when it is complete). 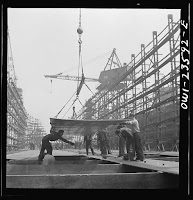 Expanding to sixteen ways, the yard produced over five hundred of the more than 2,700 ships produced during the war, most constructed in just forty-two days. The first ship was named the SS Patrick Henry in honor of the founding father Virginian famous for his “Give me liberty, or give me death” statement. The Liberty ships were considered the ugly ducklings of the naval fleet, but were worth their weight in gold. It is estimated that the ships carried over two thirds of the cargo that left the U.S. during the war. Numerous leaders from Churchill to Eisenhower to Montgomery agree that the Liberty Ships went a long way to winning the war. There are only two existing Liberty Ships that remain from the war. The Jeremiah O’Brien is berthed in San Francisco. 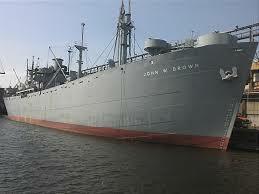 Built at the Bethlehem-Fairfield shipyard, the John W. Brown is a museum ship that sits in Baltimore Harbor. The Brown is named for a Maine labor leader who died in 1941.